How Can I Avoid a Computer Virus Attack? 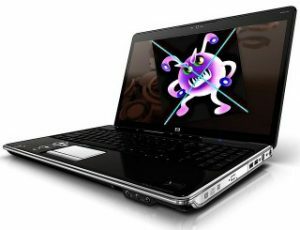 Home » Blog » How Can I Avoid a Computer Virus Attack? Since the dawn of the internet, the threat of the computer virus has been rife – and to this day, viruses, malware and trojan or backdoor applications are as widespread and as intelligent as ever – meaning that it is becoming increasingly important for private users and businesses alike to ensure that they are well up-to-date with the PC protection and that the internet is host to a number of nasty little dangers. But what can you do to avoid contracting a computer virus? The best option, first and foremost, is to ensure that your PC or laptop is primed with a well-reviewed or highly-regarded antivirus software and firewall program – your firewall is like your first line of defence, your castle walls – whereas your antivirus will act as your infantry. Opting for well-known and branded antivirus software will guarantee that you receive well-designed and heavily-supported PC protection that will eradicate most threats that come knocking at your virtual door. While most antivirus programs will come with a form of malware protection or database to ensure that your PC and your browsing is uninterrupted by a computer virus or two, it is always worthwhile opting for a well-reviewed ant-malware program that actively seeks and eradicates even the nastiest of backdoor exploits and worms that are often tricky to remove manually. Having the double protection of an antivirus program and a malware protector will give you the best defence possible against some of the nasties lurking out there on the web. How can I stay Protected from Computer Viruses? software is ahead of the game, making it a race that the computer virus is currently lagging behind in. Most branded or popular antivirus software will now update regularly providing you have a constant broadband connection, which will allow your PC or laptop to gain the newest virus definitions and information on how to beat them ahead of there being any chance of contraction. Above all, while antivirus software and anti-malware protection will give you a great deal of armour in the internet wild, it is most important to ensure that your browsing habits are not threatening your PC’s safety and running. By avoiding glaring pop-up ads and prizes that seem too good to be true, you will likely be home free from contracting anything nasty – but it’s always important to keep vigilant. Keep your browsing to major sites and apply as much protection as possible – as there are still millions of nasty little bugs and worms out there ready to harm your PC – but with the right protection and the right browsing attitude, you will be free to browse happily and without harm. Tech CPR offer comprehensive advice, support and sales for all things PC and computer virus related in and around Chesterfield. For more information on how we can help bring your PC back to health if the worst does happen thanks to a bug attack, call us directly on 01246 452319 and we will be happy to discuss any concerns you may have in detail!